A second preview for the artwork that will be found in the next fantasy art kit to be released on www.rpgartkits.com before this upcoming Sunday. 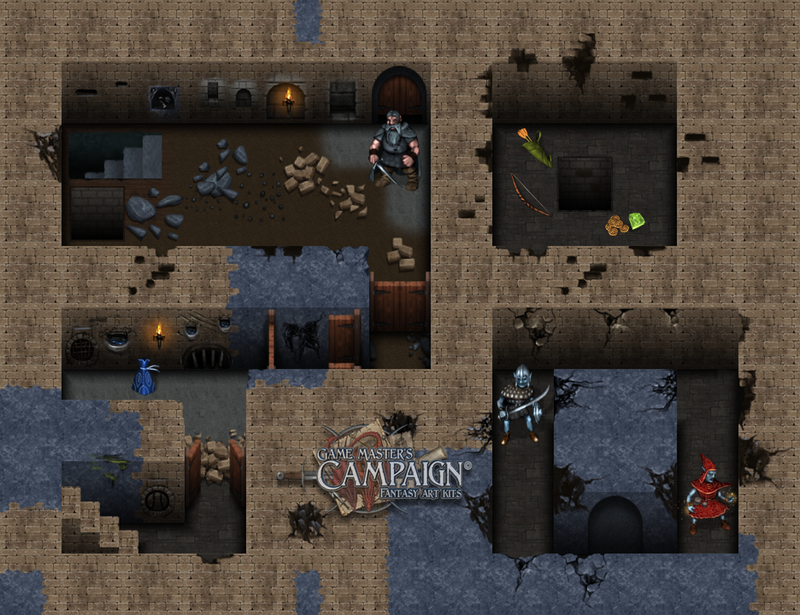 This art kit will be the 3rd in the Roguelike art kit series, allowing users to construct dungeon rooms, corridors and labyrinths in a 2.5D style. This art kit will have two types of walls, 4 types of floors, a shadow tileset, doors/stairs and a bunch of overlay effect tiles. The characters, monsters and items seen here are part of the 1st art kit in the Roguelike series. What you see in this example is created by drag-n-drop, no after effects have been added in photoshop.